The season of twinkling lights and cheer is upon us! But is your skin just as bright? With the elevated spirits also comes a markedly busy and stressful time—the uptick in traveling on long flights, shopping for gifts, hosting get-togethers and attending sugar-filled parties isn’t always the best formula for glowing skin (and the same can be said for your loved ones). So this holiday season, we hand-picked our favorite products that will give you—and your family, friends and coworkers—the fast-track ticket to back to luminous skin. 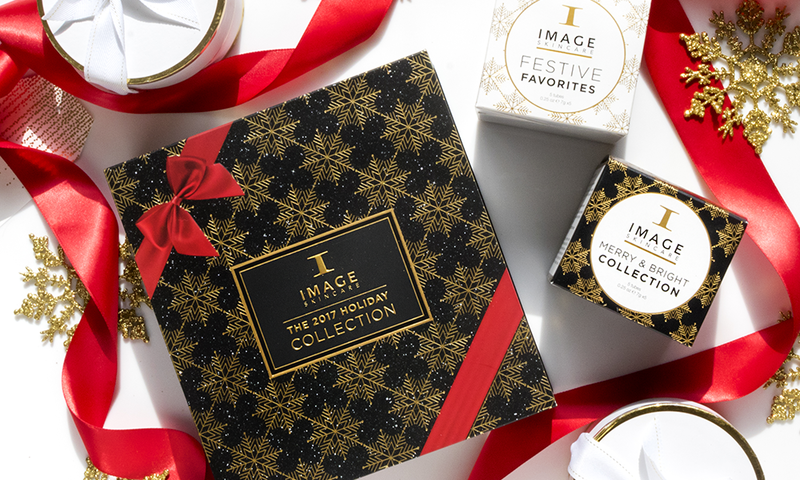 We introduce to you our 2017 Holiday Collection and Stocking Stuffers! Take out the guesswork and the pressure off yourself with this signature keepsake box featuring three of our perennial favorites (any recipient will give thanks for a skincare upgrade!). This luxuriously creamy cleanser glides on skin to sweep away debris, purify pores and optimize skin’s delicate pH levels—all while respecting the delicate skin barrier and without disrupting its moisture balance. Plant-derived stem cell extracts of apple, edelweiss and leuojum aestivum help prolong cell vitality and a powerful polypeptide complex helps fight against the signs of aging, while anti-inflammatory oat kernel soothes skin. This cleanser is free of acid, sulfates and parabens. We couldn’t have a holiday set without this signature best-seller. The original brightening and lightening serum contains a 15% blend of vitamin C (that’s up to 50% better than the standard form of vitamin C, L-ascorbic acid) to help expedite collagen production and fiercely protect skin from the environmental damage that causes premature aging. Hydrating superstar hyaluronic acid, which binds 1000x its weight in water, adds plumping moisture to soften the appearance of lines and argireline delivers a lifting effect that’s been compared to Botox®, as it helps ease facial muscle contractions. You have to try it to believe it! We included this mask as a bonus to offer a convenient, effective boost of luminescence and anti-aging action. Perfect for jet-setting or the night before or day of an event (office holiday party, anyone? ), this ultra-pampering sheet mask infuses your skin with an amino acid complex to help stimulate collagen and elastin, Jeju volcanic oxygen water to deliver a rush of hydration and a copper complex for cell regeneration. You’ll notice an instant glow along with an overall revitalization ideal for neutralizing holiday stress. Be the Secret Santa of Beautiful Skin this year by dropping in one of our stocking stuffers—the perfect IMAGE introduction or complement to anyone’s skincare routine. Your recipient will have just enough time to try our favorite skincare gems and see radiant results. This collection contains travel-size versions of our VITAL C favorites. the MAX stem cell serum: multi-layer technology releases nutripeptides and an exclusive blend of plant stem cells deep into the skin to combat the effects of aging and stimulate new collagen. Take the stress out of holiday shopping and, this year, give out good skin! Your loved ones will love you for helping them feel great in their own skin—and that’s priceless.